The guys had a couple of bad nights followed by days without naps. Luckily, since we are so smart, we had the cure for this. If we got them to take some really good afternoon naps they would not get over-tired and would have fantastic nights of restful sleep. Bonus side effect: so would we. At least that's how the theory went. On Friday I successfully got them to take an unprecedented three hour nap. They were rested and refreshed for a night out with friends. Then came a pretty lousy night. We did the same yesterday, expecting different results, and were shocked to find the same results. 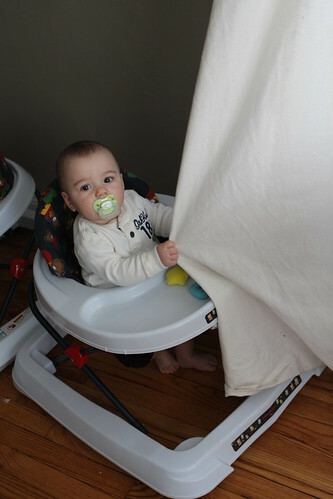 The time for baby-proofing is almost upon us as Elliott has discovered one of his new favorite hobbies: pulling on the curtains. Last night we had some friends over including Jennie who did what any great dinner guest does here: keep the Wombats busy so that we can knock out some life's chores we've been ignoring since we last had guests over. This year I made my corned beef and cabbage a little different by making it a Black and Tan (or Half and Half if you want to be nitpicky). 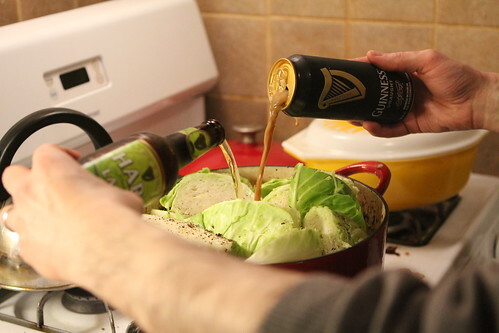 I added a bottle of Harp and a can of Guinness to the pot. The result was not super noticeable. I guess if I had chosen beers with flavor I could have expected more dramatic results. 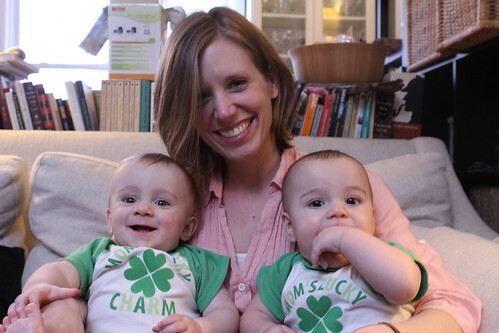 I took the boys with me to the grocery store and later to the beer store to pick up a selection of sort of crummy Irish beers. I'm sure there are better beers brewed in Ireland but when it comes to what's available in the states this is pretty much the best we can get. That being said I'm pretty excited about trying the slightly pumped up version of the O'Hara's stout. 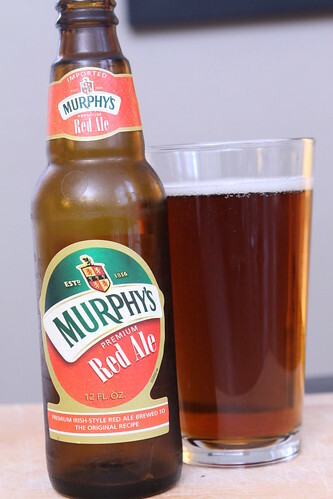 The Murphy's Brewery Red Ale was a pretty big hit. It wasn't bad at all and maybe the most popular of the Irish beers at our get together. Meghan and Mario showed up with better, non-Irish beers but Mario still enjoyed a Murphy's Irish Stout with me. I found it to be pretty unremarkable. 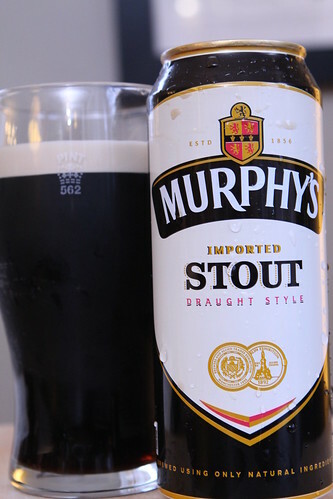 Descriptions say that it has a nutty, coffee aroma and is less bitter than Guinness. I find both beers to be virtually indistinguishable from one another and to be fairly flavorless. While I don't mind having one at this time of year when everyone is supposed to pretend that they are Irish it's definitely not my go to beer by any stretch. Mario and Meghan just happened to also bring a really nice, non-Irish beer. They were clever in picking it because it was called Baby Tree, a tribute to the Wombats. It happened to be a very nice Belgian-style Quadruple from Pretty Things Beer and Ale Project in Massachusetts. It also featured a picture of a freaky tree which had babies growing out of it. Apparently there is a real pear tree in Sexhow, UK that has baby dolls hanging in it. Someone was going to throw away all these baby dolls and these two people rescued them and let them live in a tree. This beer was really good but even if it was terrible it would have been worth it for that story. 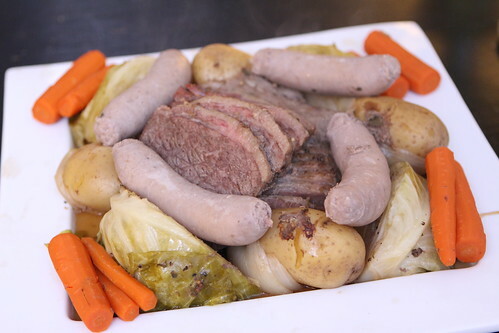 While I normally like to branch out with new foods I made the same dinner I've made for the last few years, this corned beef and cabbage with bangers. 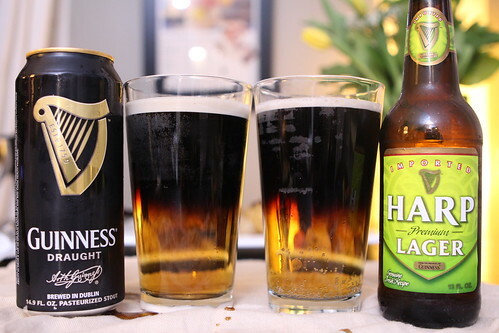 I did add a twist, however, by making it a Black and Tan (or Half and Half for you pedants out there) and adding a can of Guinness and a bottle of Harp to the bot. 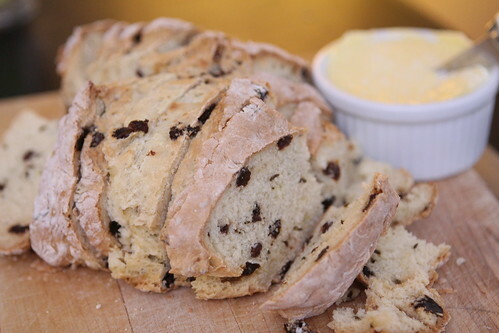 Jen also made her soda bread with Kerrygold butter. Some things are too delicious to mess with. After dinner I was very pleased to make my first successful combination of the two beers by Guinness: Harp and Guinness stout. 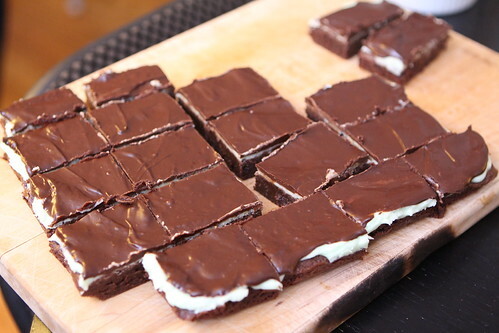 Jennie was kind enough to bring over some delicious chocolate and mint brownies and, wouldn't you know, they went perfectly with some Guinness stout. They probably would have been even better with a really good stout but the luck of the Irish was not with me. Or it was with me depending on how you look at it. 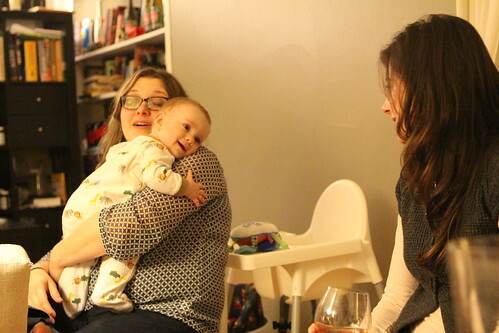 After several successful attempts to put Martin to bed it seemed obvious that he was going to be joining us for after dinner drinks as he loves to do. I think Martin is going to grow up to be quite the entertainer. Since Elliott is always the youngest guy in the house Martin feels it is appropriate that Elliott goes to sleep at a reasonable bed time. That way Martin can stay up and socialize with the rest of the adults. Last night was a new record with Martin staying up until midnight with us, happily watching Netflix and showing obvious signs of fatigue. It was sort of like that episode of The Cosby Show where Rudy insists on staying up late to watch The Tonight Show only to fall asleep just as Ed McMahon was announcing, "Here's Johnny!" Martin emulated Rudy beautifully except for the part where she fell asleep. During that point he chose to ad lib by staying up for another hour. Thankfully there are three hour naps to make up for things for Martin. If only they existed for parents as well. 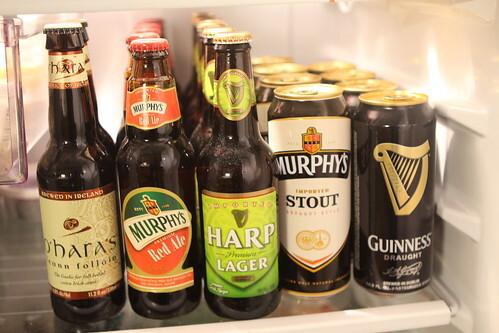 Why Catholic Irishmen would never celebrate with a "Black and Tan." Interesting! So is the correct term always Half and Half? I'm sure they don't consume these in Ireland at all.